Microsoft introduced their plans and ideas for Windows 10 to the world in January, and today they revealed that the new operative system will be ready for release this summer. No specific date is set, but Terry Myerson, head of Microsoft's operating systems division, promised a summer release: "We continue to make great development progress and shared today that Windows 10 will be available this summer in 190 countries and 111 languages." Windows 10 will come as a free upgrade for the first year to owners of Windows 7 and Windows 8.1 with an array of new and improved features, most of which was covered here. Microsoft is with this creating an ecosystem, enabling communication and interaction between multiple devices including smartphones, tablets, laptop computers, desktop PCs and more. DirectX 12 will be included to greatly improve graphical performance, and the ecosystem also opens up for cross platform gaming between Xbox and PC. Fable: Legends will be one of the first titles ready for this feature, with more to come in the future. With Windows 10 comes what seems to be the end of Internet Explorer, Microsoft's rather unpopular browser. The replacement, currently sporting the codename "Project Spartan", will get an official name soon and be included as the main browser of the new OS. IE will still be getting tech support for a while and be available to ensure compatibility, but all development and live support will cease. Microsoft plans to utilize the possibilities in the Windows 10 upgrade to help counter pirating in the massive Chinese market. They are partnering with Lenovo and Tencent to be able to cover as much ground as possible, and will even offer the upgrade to customers who have non-genuine copies of Windows. Quite a new move in regards to pirates from the huge company. The partnership with Tencent looks to be a step in the right direction, as they are creating a universal Windows 10 app for their flagship QQ, which has over 800 million users in China. 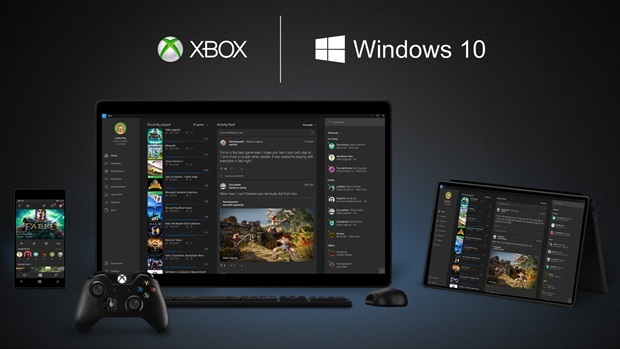 They will also bring titles like League of Legends, Cross Fire and Dungeon & Fighter to Windows 10 and the new Windows store. Ars Technica went out of their way to find out what the free upgrade for pirated versions actually entail, this is what a Microsoft spokesperson sent them, a full statement about the situation: "With Windows 10, although non-Genuine PCs may be able to upgrade to Windows 10, the upgrade will not change the genuine state of the license... If a device was considered non-genuine or mislicensed prior to the upgrade, that device will continue to be considered non-genuine or mislicensed after the upgrade." So if you upgrade from a non-genuine license, your Windows 10 will also be non-genuine.